The recent trilogy of rebooted Planet of the Apes films stand as some of the best blockbusters of the 21st century, we a sense of intimacy and emotion that is never threatened by the all-out conflict between the titular apes and the humans. The action scenes are still mighty impressive, however, and the chance to actually enter the world and become a hyper-intelligent ape is an exciting proposition. That’s exactly what Crisis on the Planet of the Apes VR attempts to provide, but while the game can stand alongside its non-interactive siblings at first glance, the process of actually playing it is often impeded by frustration. 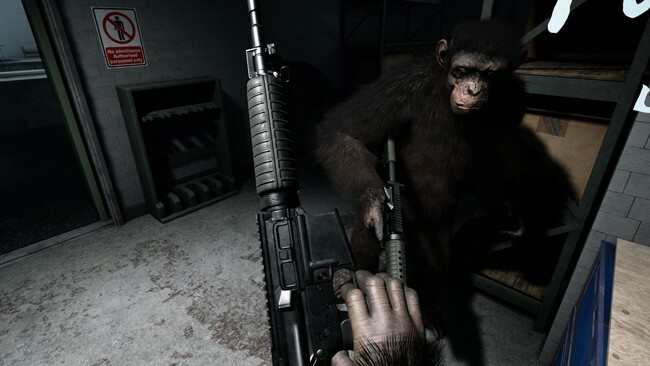 Set in the gap of time between Rise of the Planet of the Apes and its sequel Dawn of the Planet of the Apes, Crisis on the Planet of the Apes VR places you in the furry feet of an ape in captivity at a scientific facility hell-bent on finding a cure for the pandemic Simian Flu. With the Earth’s population already halved, the facility’s staff don’t take too kindly to apes who object to being experimented upon, and their cruelty has affected the morale of the apes imprisoned there. With the help of a fellow Ape named Bone, you quickly break free from your cage and attempt to escape the facility with the tortured chimpanzee Spear in tow. It’s not the most original or ambitious premise for a Planet of the Apes game, but its serves its purpose well enough and allows us to see the dark and gritty world that has devolved considerably since the events of the first film. The facility and prison camp itself looks like it was pulled straight out of last year’s War for the Planet of the Apes, as do the headstrong soldiers who look for any excuse to cause the apes more pain. As you’re experiencing the game in virtual reality – PlayStation VR in our case – it’s quite easy to get into character and start hating them for what they’re doing to you. Unfortunately, the game lacks a human foil on the level of the third film’s Woody Harrelson or the second film’s Gary Oldman, so you never really know exactly where to direct your anger. The game does its best to frame one of the humans as the main perpetrator of violence, but with nearly everyone wearing full facemasks, it’s pretty much impossible to care about them. The apes don’t suffer from his problem. You only encounter a few of them over the roughly two hours it takes to complete the game, but just like in the films, their facial expressions and non-verbal movements allow you to form an emotional bond. As there isn’t time for the slow-burn treatment of the films, particularly War, you never get a chance to truly know your fellow apes, and it left me pining for a character on the level of Caesar or Koba. Once the action actually picks up in Crisis on the Planet of the Apes and you start making your escape, it becomes apparent pretty quickly that the game needed some more time in the oven. Movement is accomplished by holding down buttons on both PlayStation Move controllers as you swing your arms back and forth, which works well enough, but you don’t have free movement. Instead, you’re limited to pre-selected pathways whenever you reach new areas of a level. When you’re tasked with climbing over obstacles, things are even rougher. This is done by stretching out your arms, squeezing around a pipe or a hand-hold, and pulling yourself up as if you were really climbing. 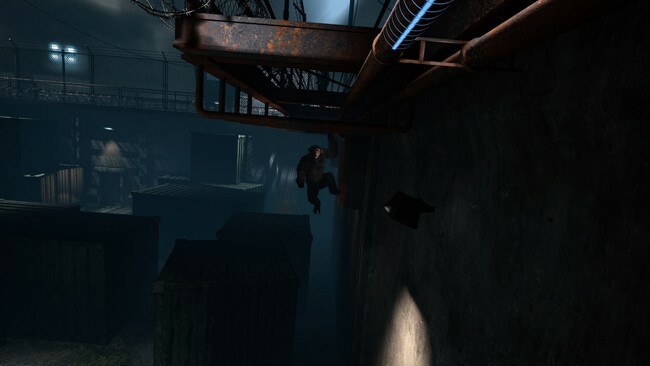 While a great idea in theory, the system just isn’t precise enough for you to reliably climb without having to go extremely slowly, and even then, I would occasionally find myself unable to grab a ledge I could clearly reach. Even worse were the numerous occasions where I missed a hand-hold and fell, only for the game to glitch and leave me standing still with no means of recovery – the only option at that point is to return to the main menu and hope the auto-save system had kicked in recently, as you can’t just reload your last checkpoint like you can in nearly every other game. About halfway through your escape, the action shifts from navigation to combat, and it’s here whereCrisis on the Planet of the Apes VR can be both its most entertaining and most frustrating. Initially armed with an assault rifle, you fire it with a one-handed grip just as the apes do in the recent films, with your other hand free to reload the weapon or grab onto a piece of cover. 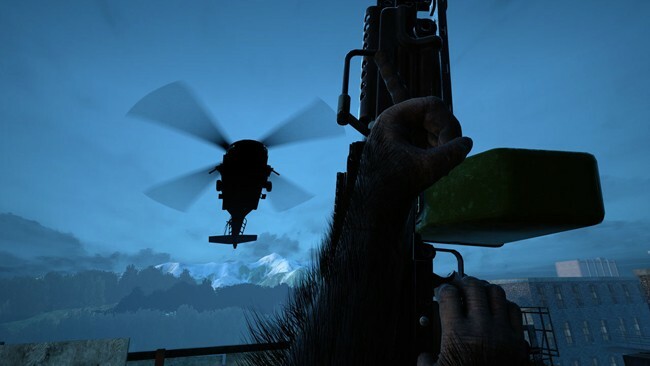 When it’s working properly, it’s quite the power trip – landing headshots on the dirty, no good humans torturing your ape comrades is exhilarating, and it’s surprisingly intuitive with the Move controller. When things start going south, however, they go really south. You pull your weapon from a holster on your back by reaching behind your back, but the sweet spot you need to actually get it to work is incredibly small. During firefights, it often takes too long to do so before you get pumped full of lead. 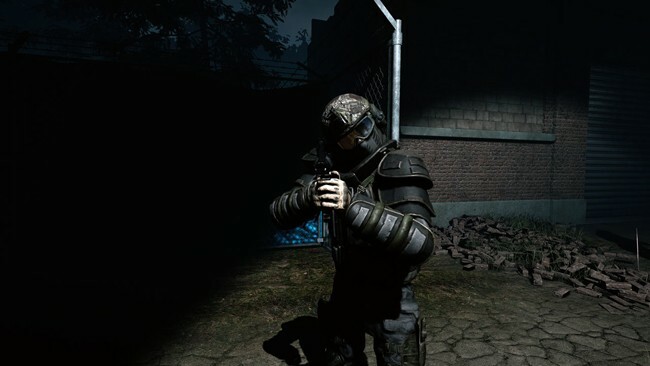 As Crisis on the Planet of the Apes is a standing virtual reality experience, you have to turn completely around in order to shoot an enemy pretty routinely, which can result in your camera losing sight of the Move controllers. Options to manually re-center the action likely would have fixed this, but the constant sensation of turning still resulted in the game causing me major “VR sweats.” I never felt nauseous, but if you’ve run into stomach problems with past virtual reality games, this probably isn’t the best choice. 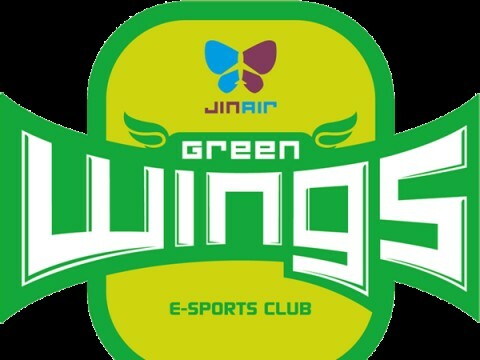 Just as the game seemed to be reaching its climax and had begun ramping up the action with big set-pieces, the screen faded to black and the game was over. There is little in the way of resolution, with developer Imaginati and publisher FoxNext presumably wanting you to immediately jump into Dawn of the Planet of the Apes. If you plan on experiencing the entire saga in one day, that might make sense, but most people aren’t. Even if they are, however, the events of Crisis feel entirely superfluous to the rest of the story. Remove it from the canon, and absolutely nothing has changed. With a few more months to iron out the kinks, perhaps Crisis on the Planet of the Apes VR would have been a worthy addition to the franchise’s long and prolific legacy. As it exists now, however, it’s a super-frustrating and super-short exercise in patience that will just have you wishing you were watching the far superior films, instead. That’s a shame, as we’re still yearning for the game that makes us feel like we’ve become an ape.